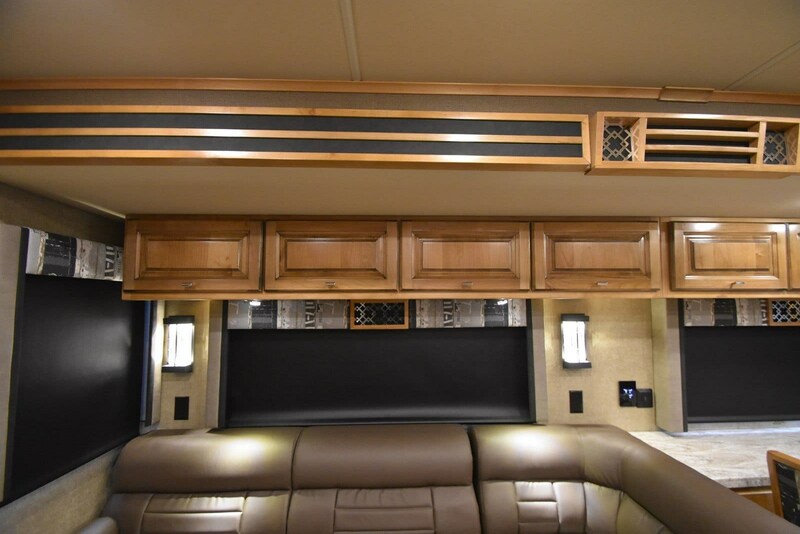 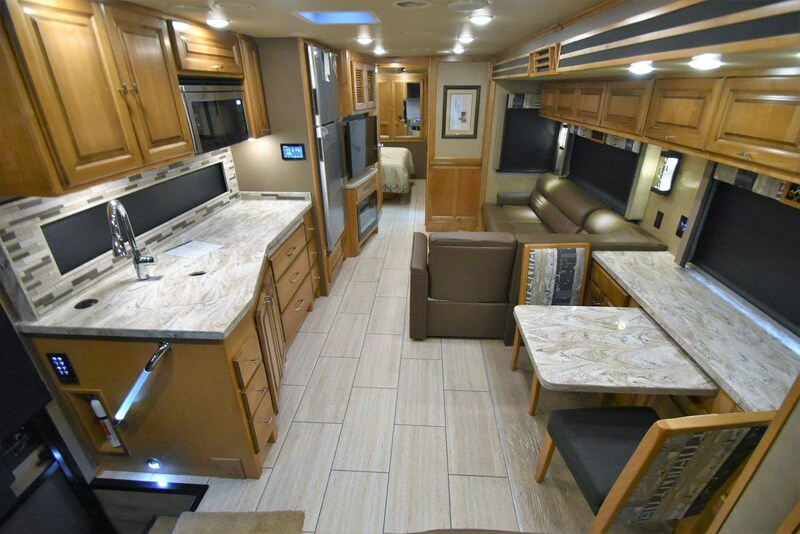 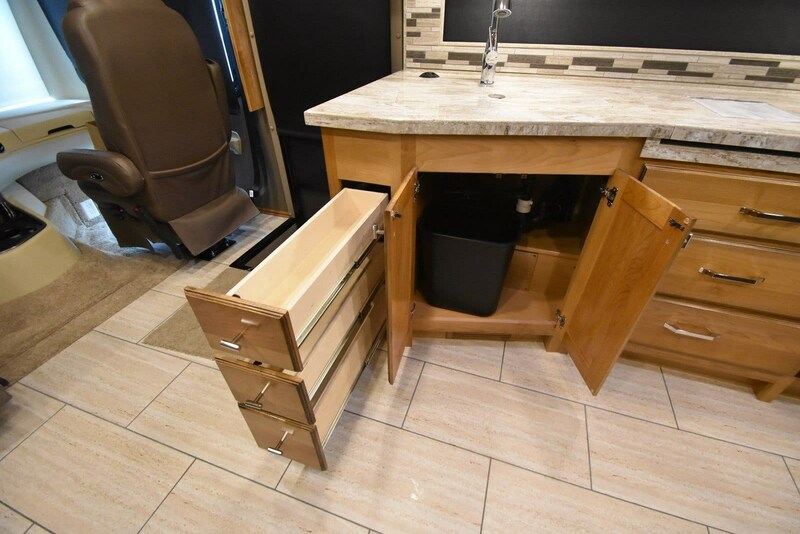 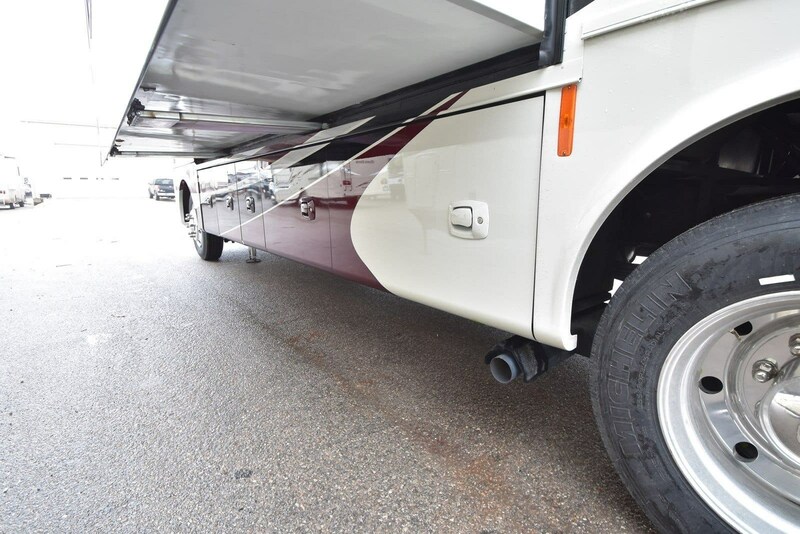 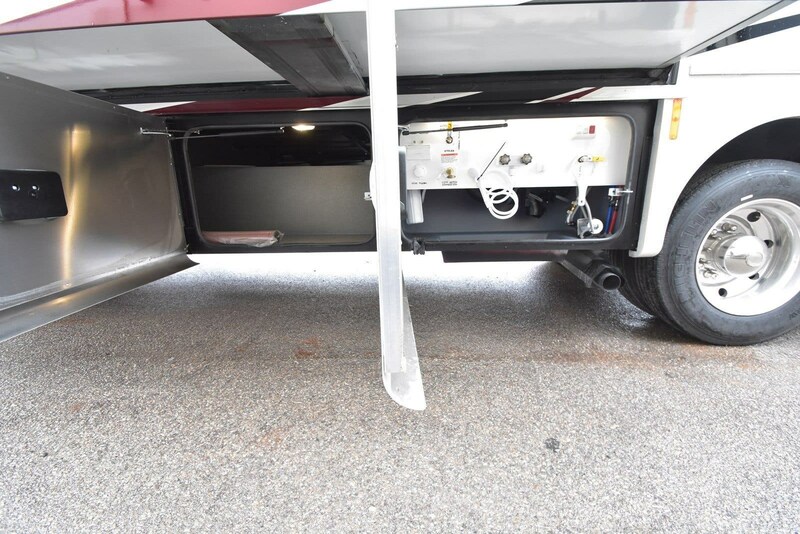 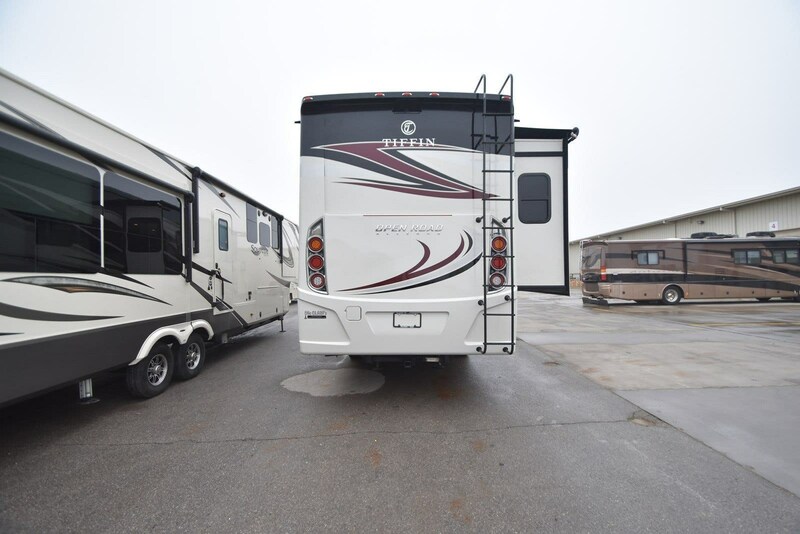 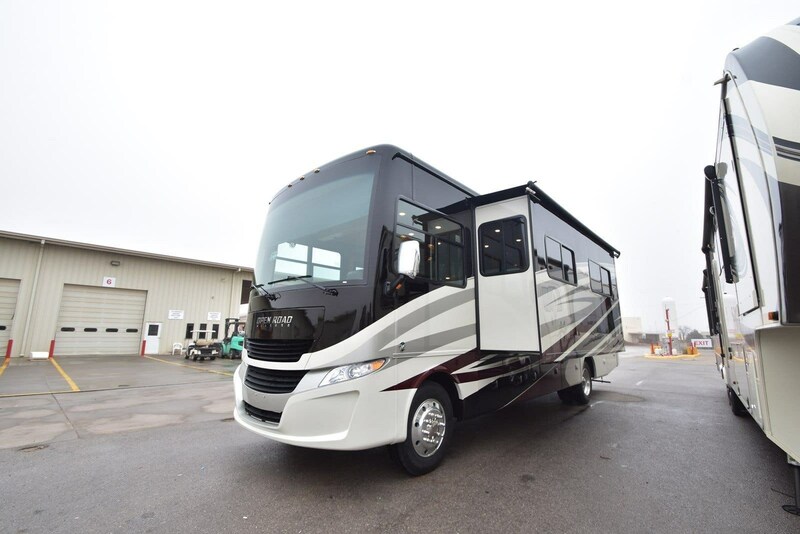 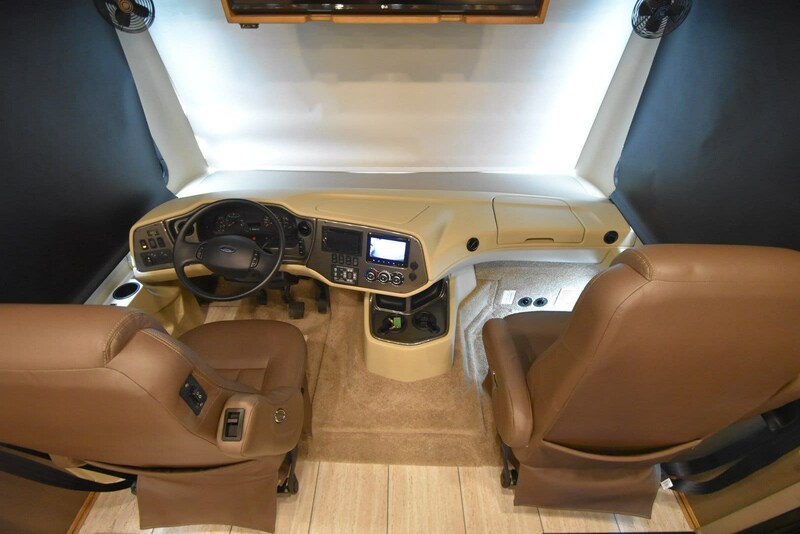 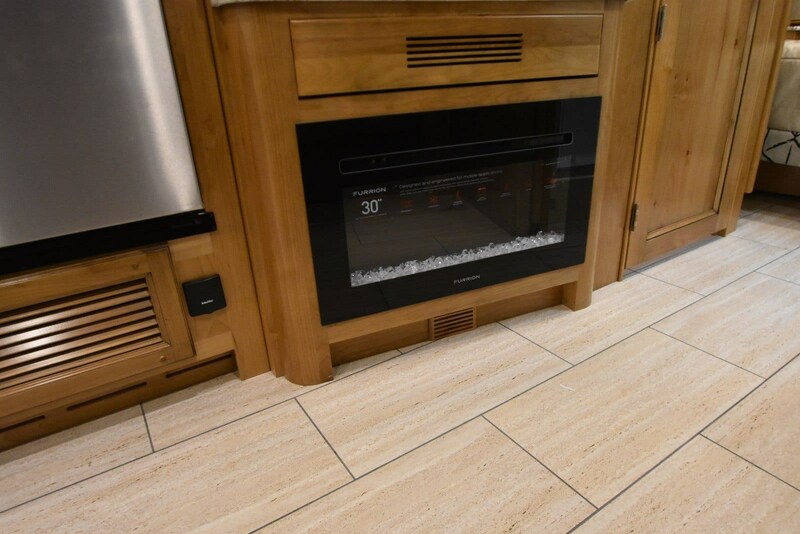 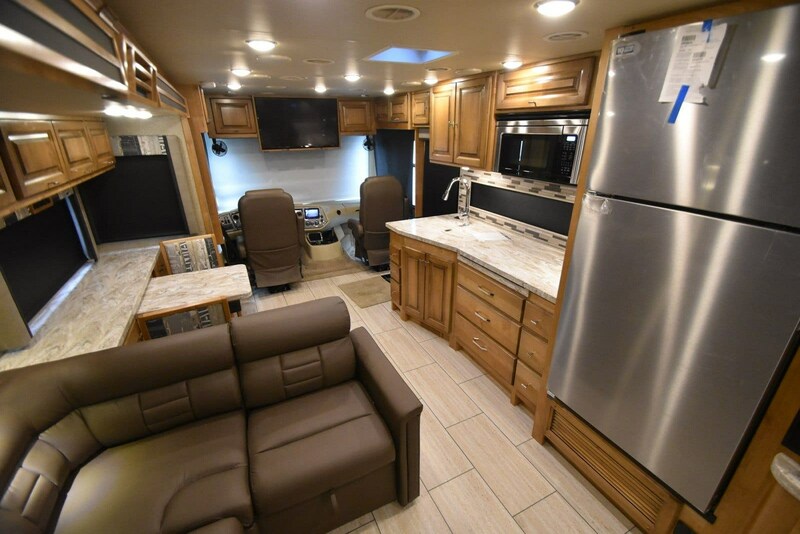 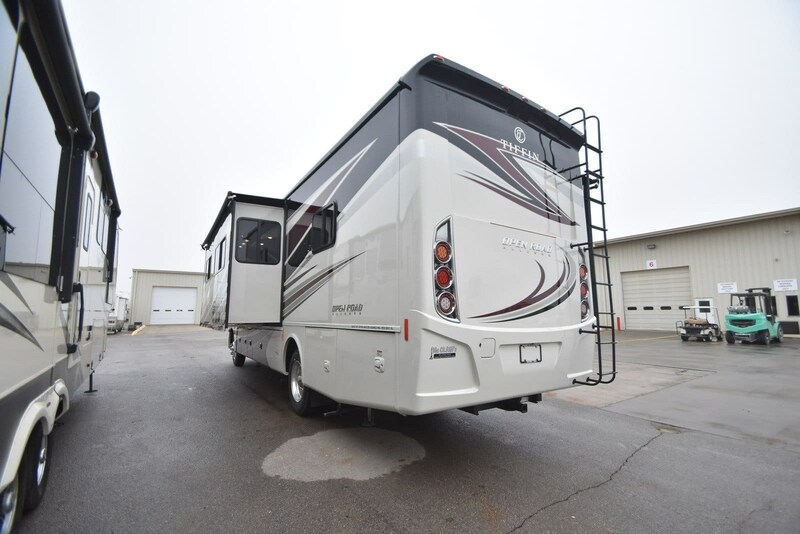 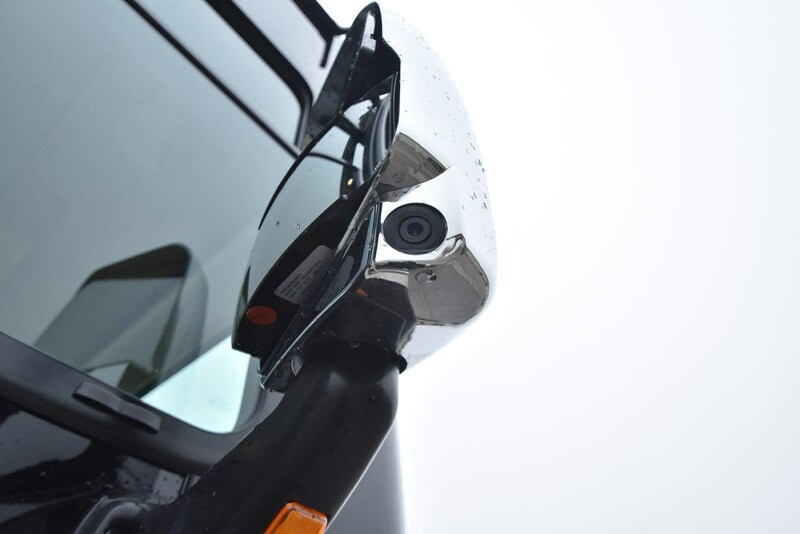 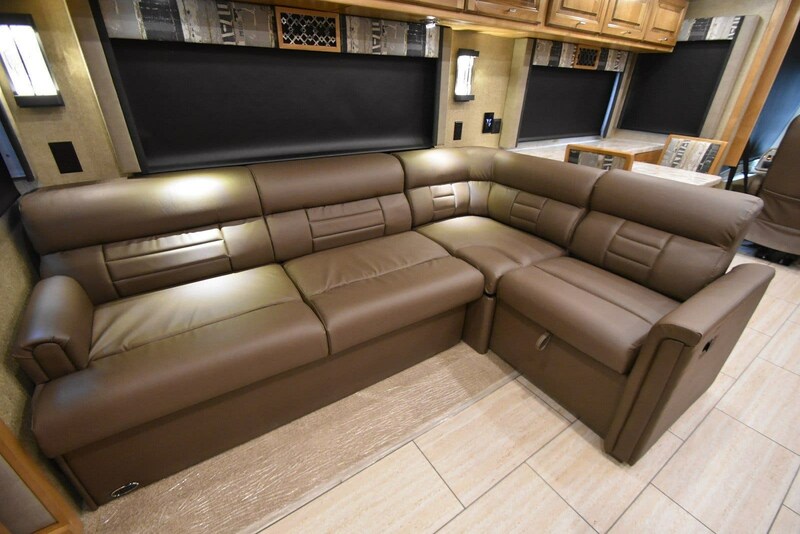 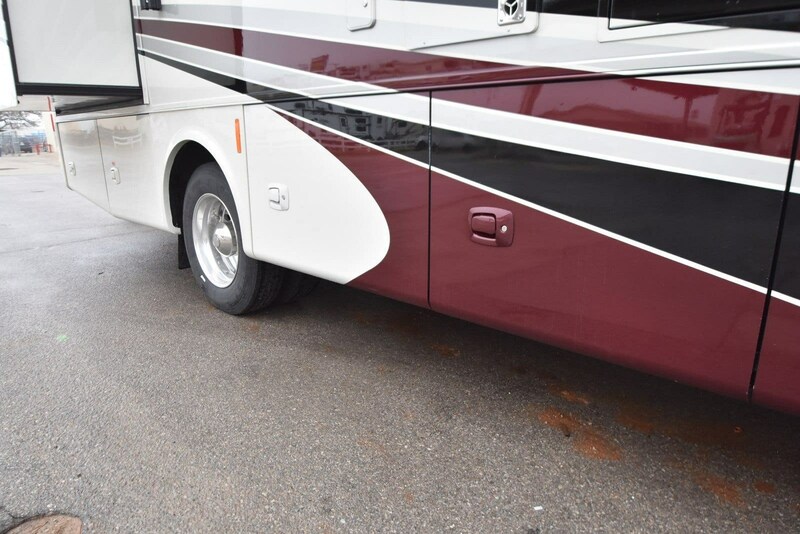 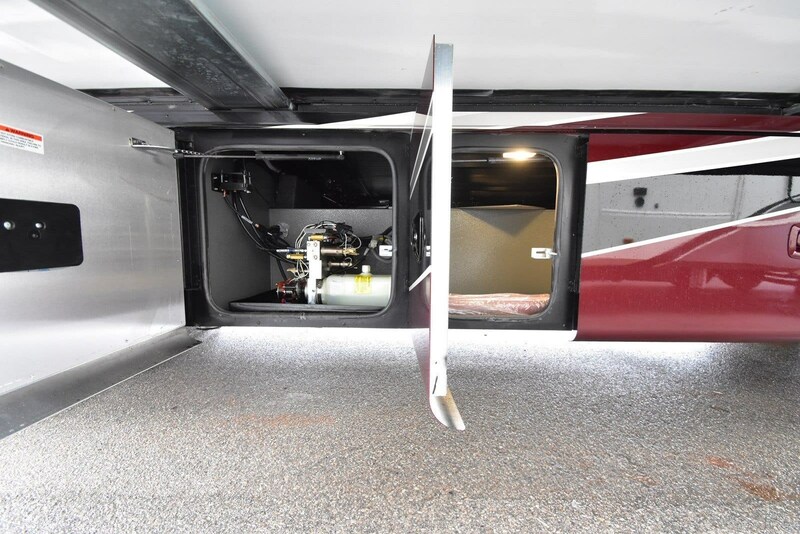 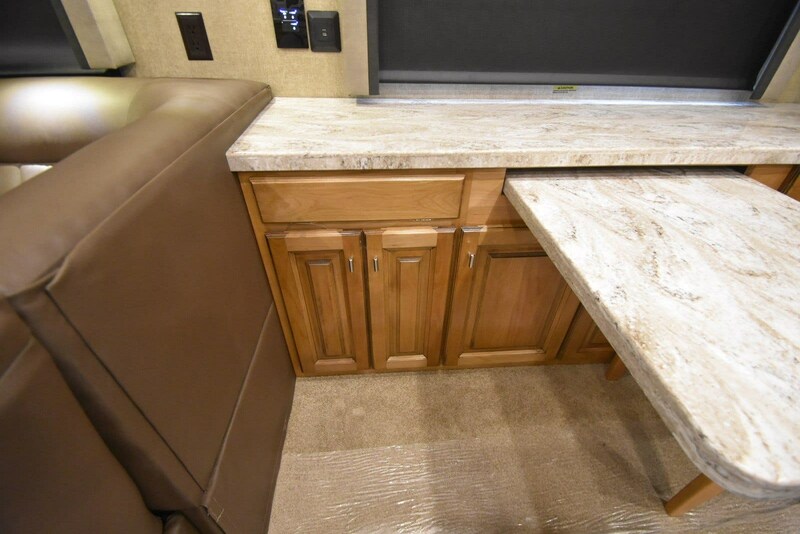 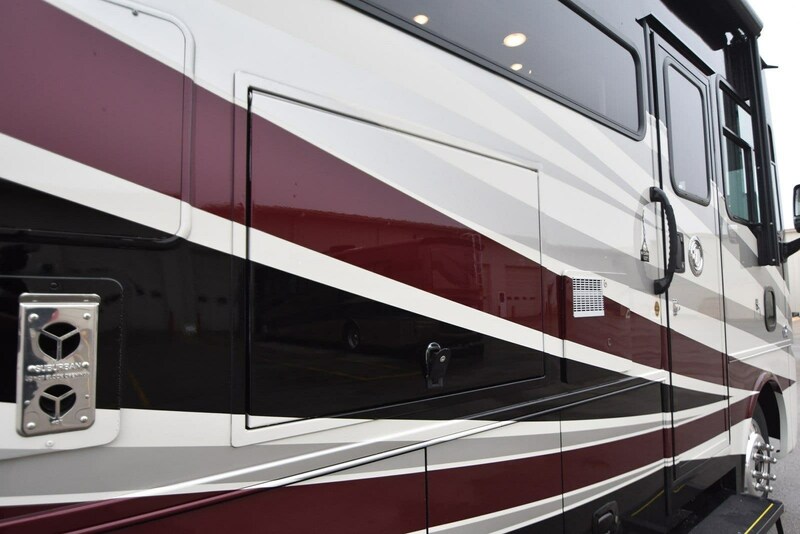 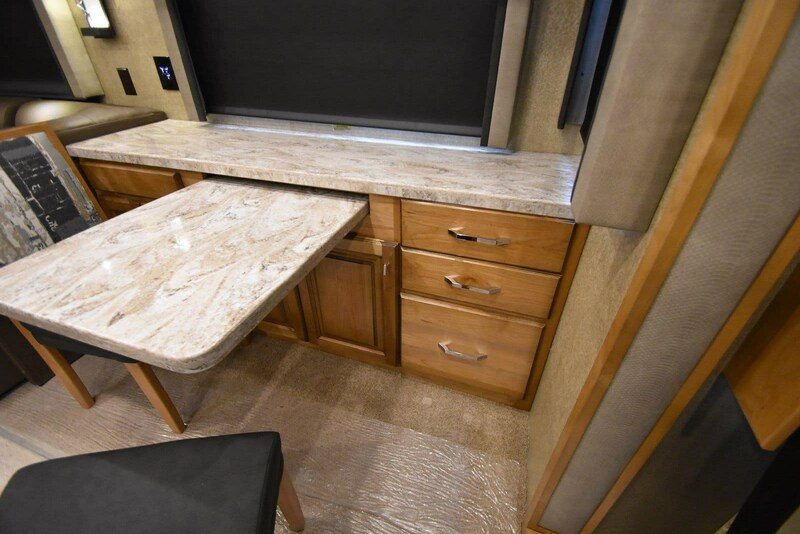 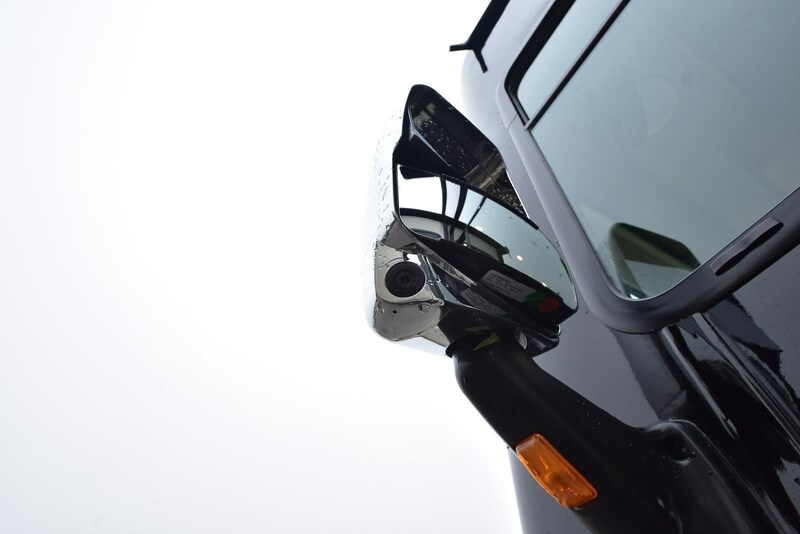 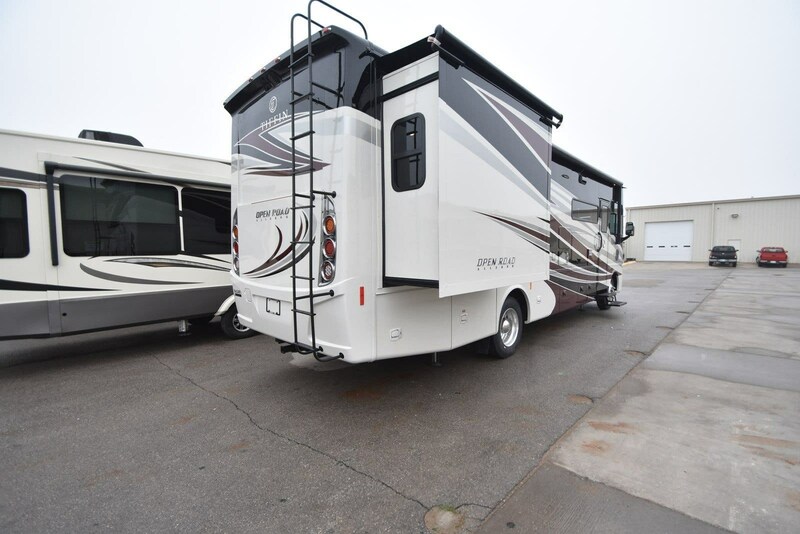 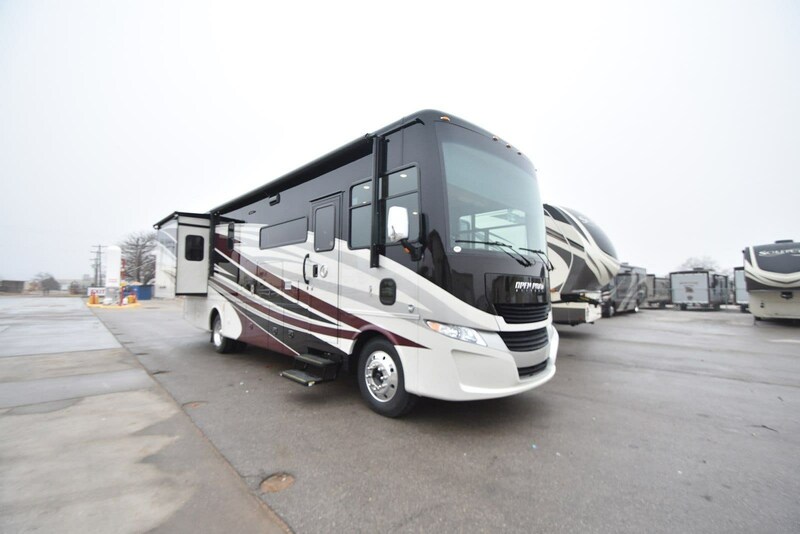 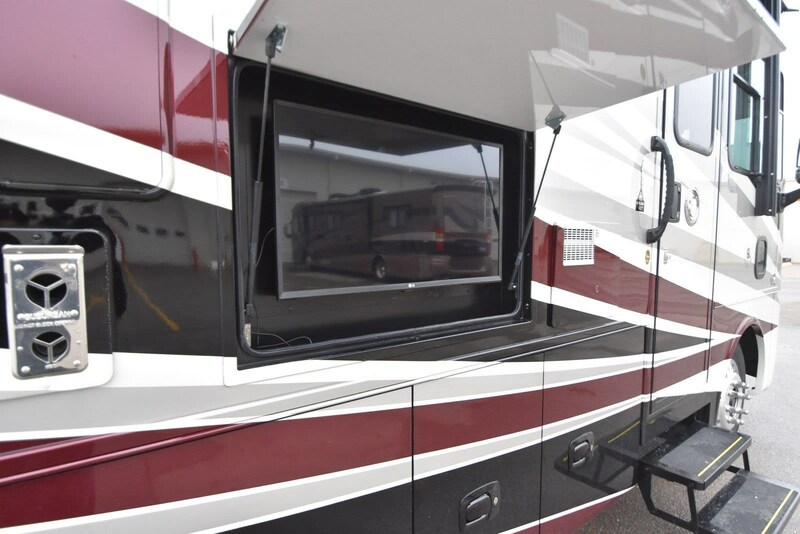 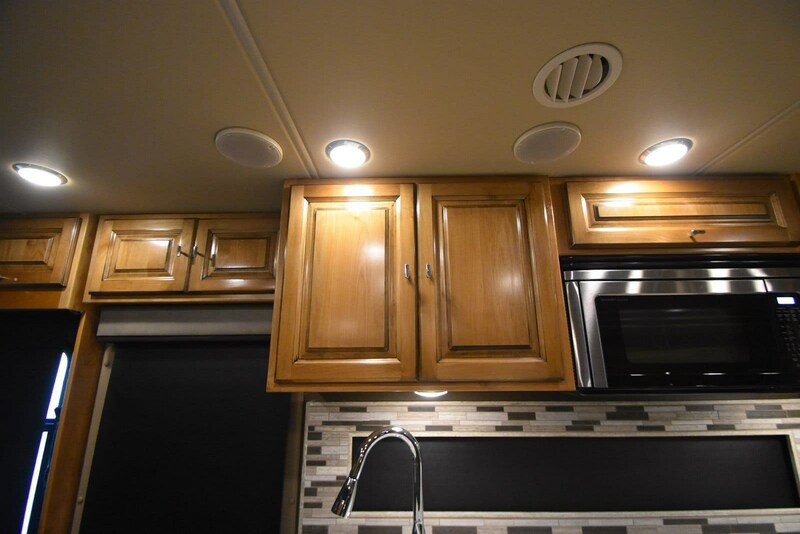 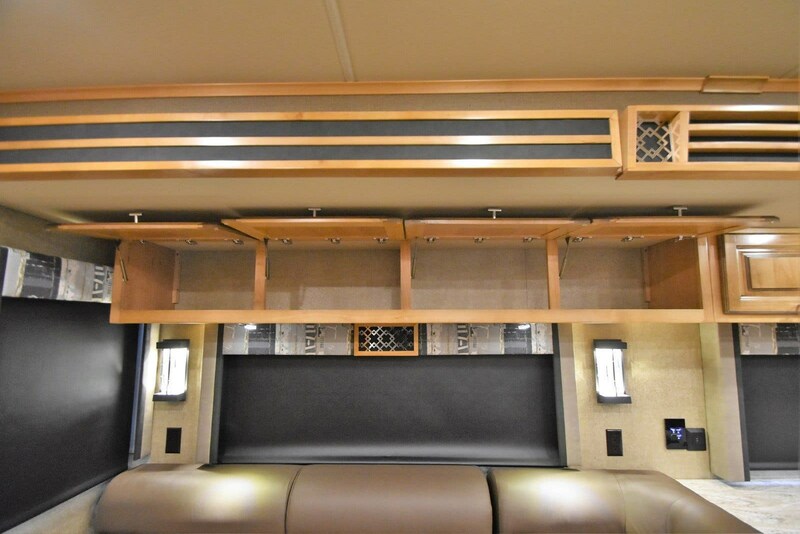 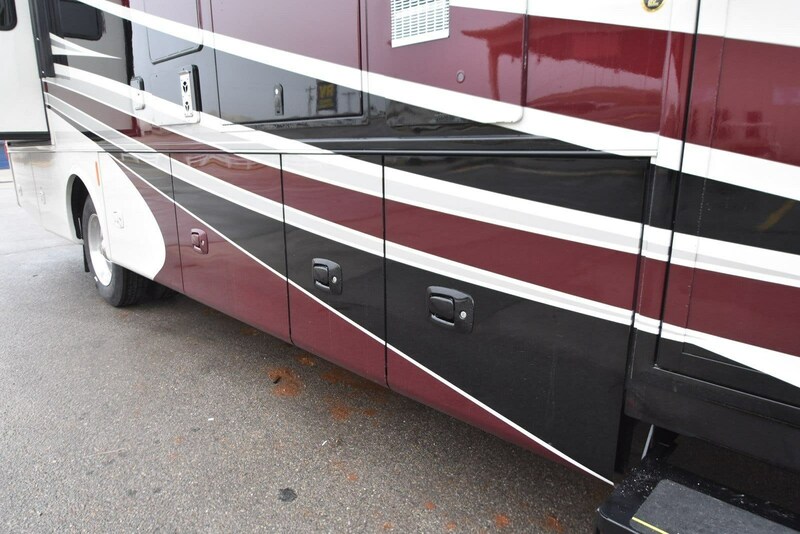 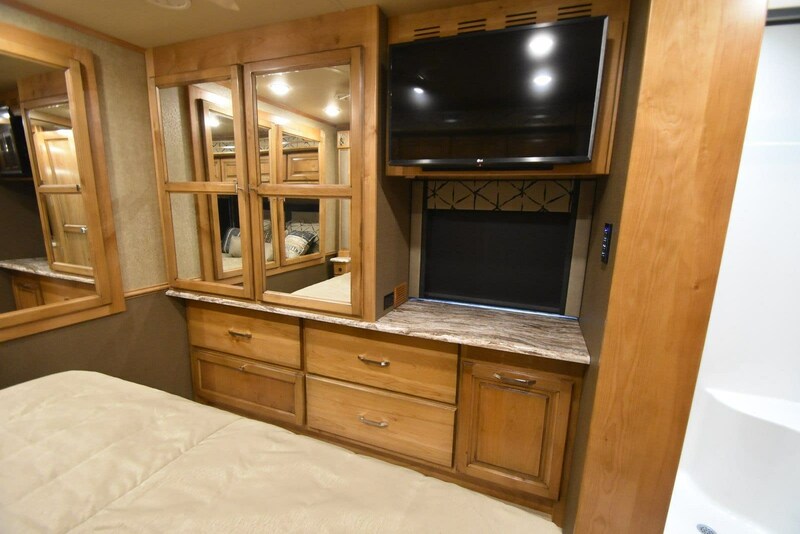 The 2019 Allegro Red 32SA from Tiffin Motorhomes is a class A rear diesel coach that provides many of the comforts of home. 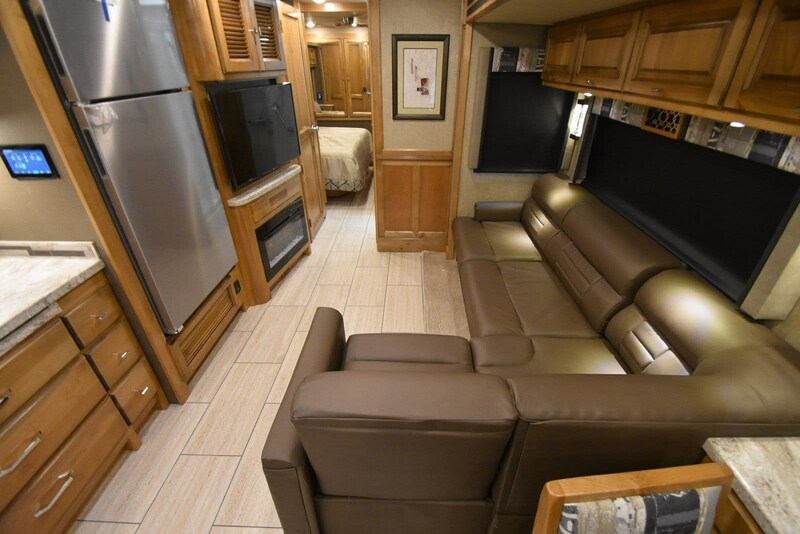 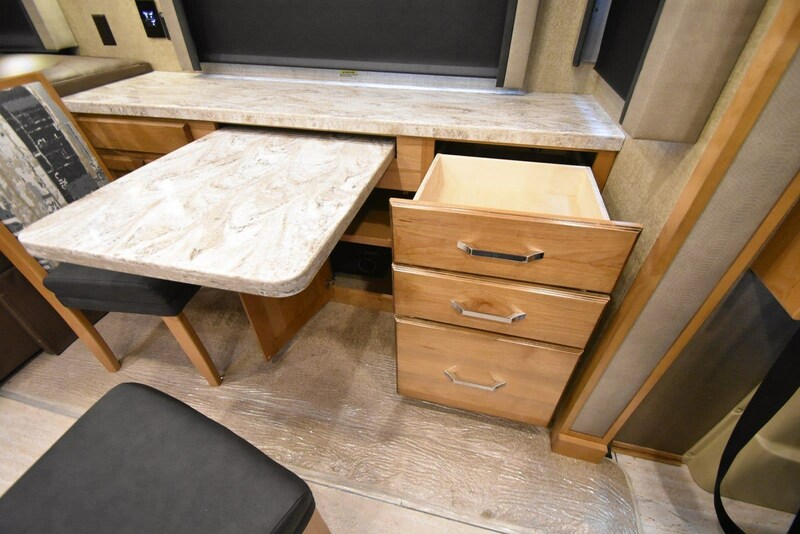 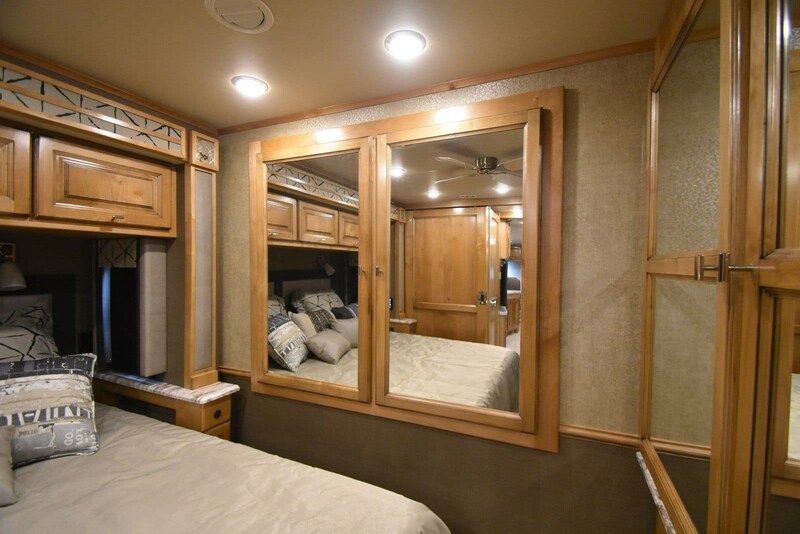 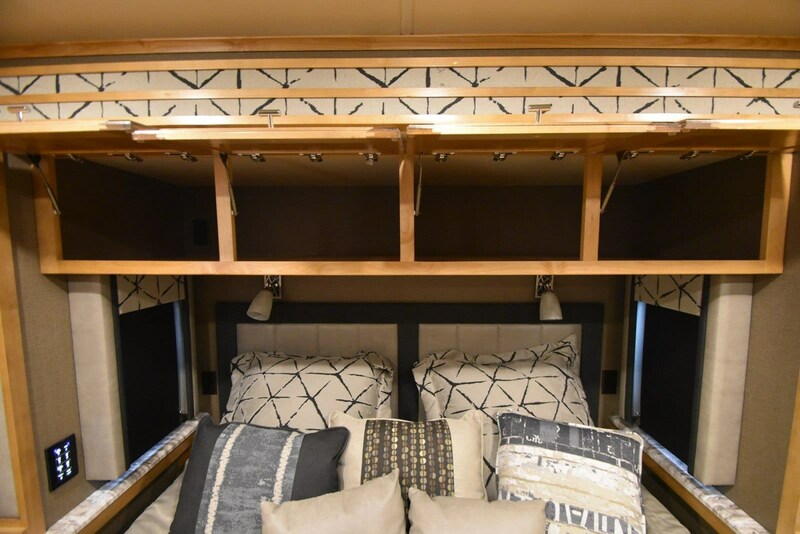 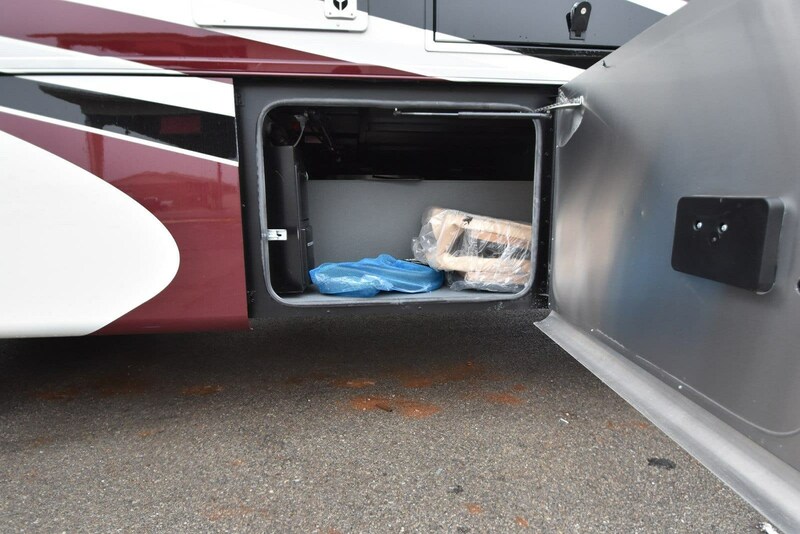 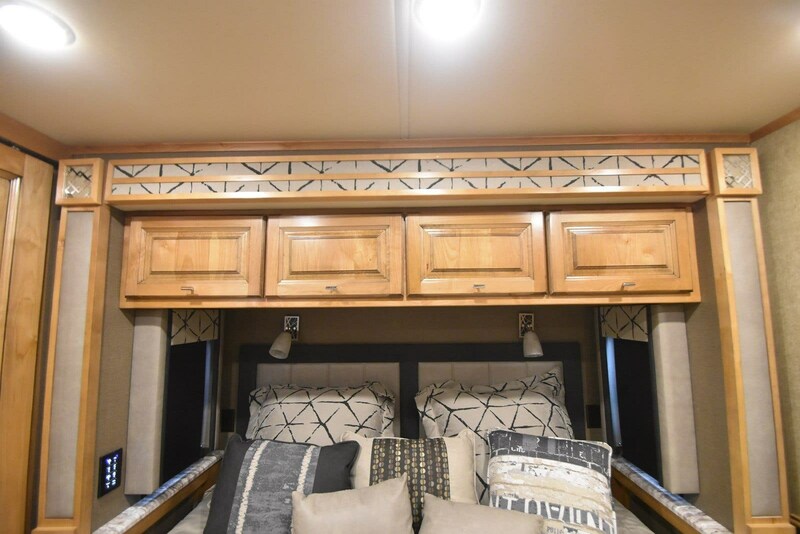 You will enjoy a spacious interior with quadruple slides and many features to make this your new dream home on wheels.Step inside the Allegro RED 32SA in front of the driver seat and take a look back through the coach. 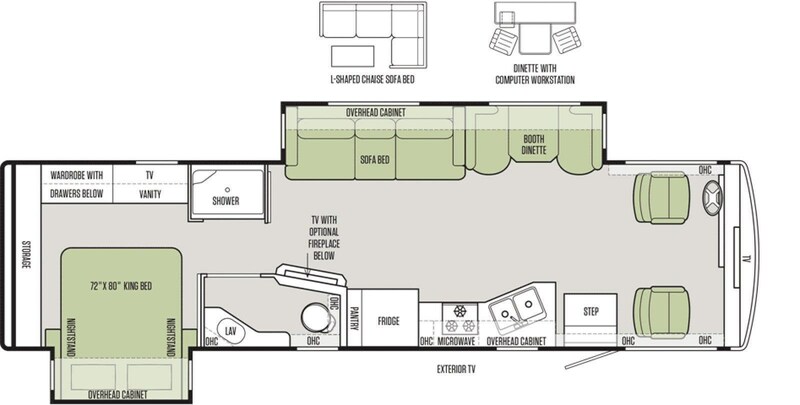 You will find a wide open concept living space with dual opposing slides right up front. 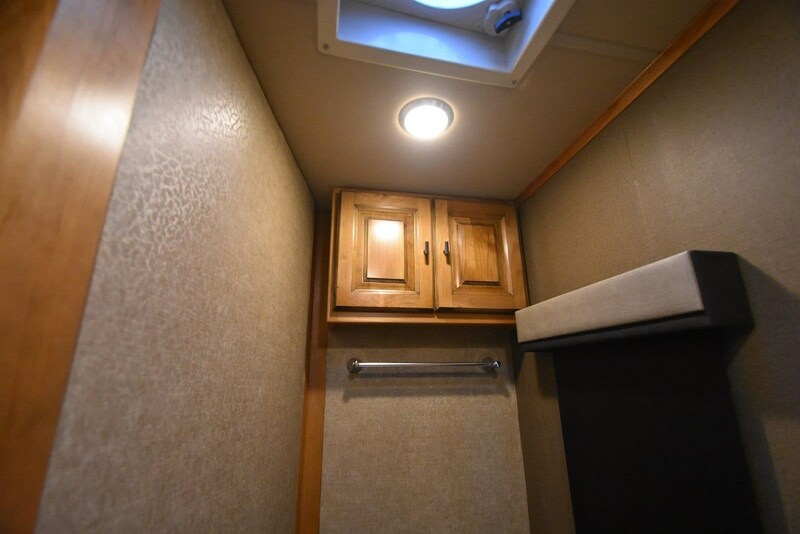 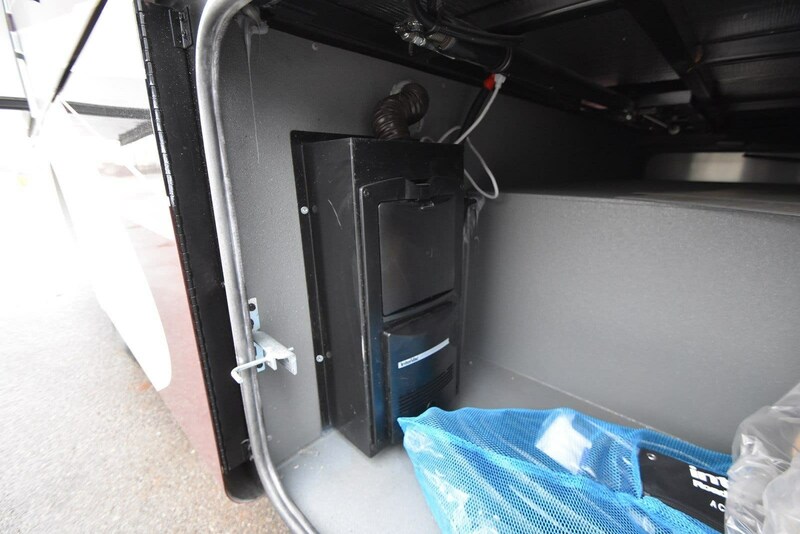 Behind the driver seat there is a booth dinette with overhead cabinet and a sofa pull out bed. 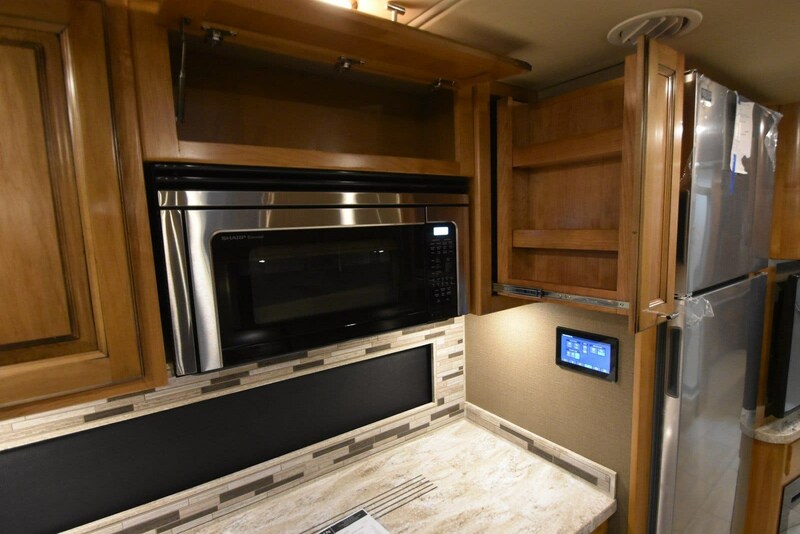 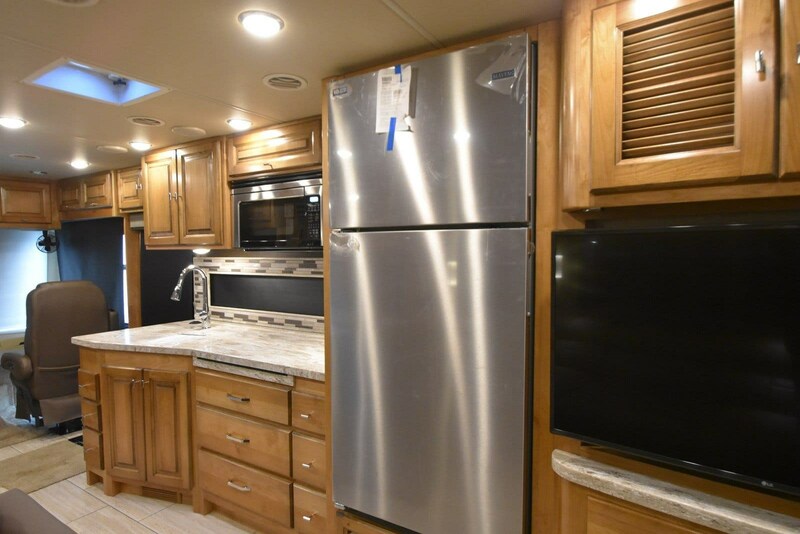 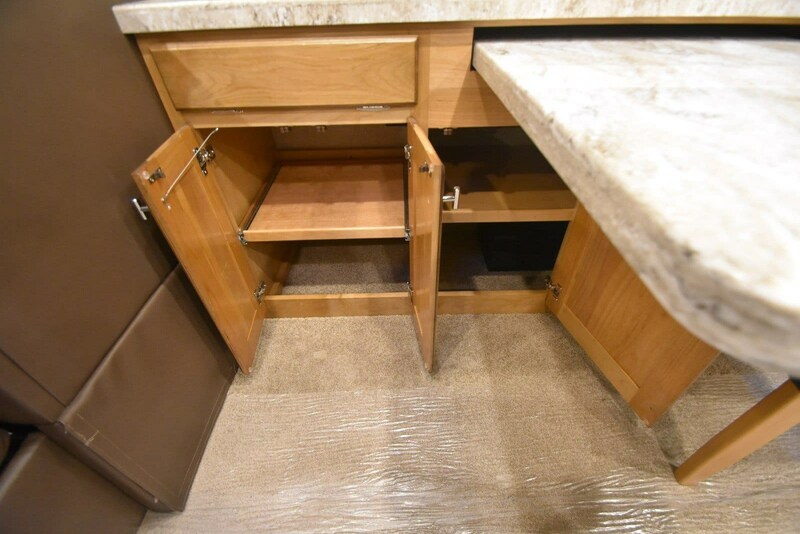 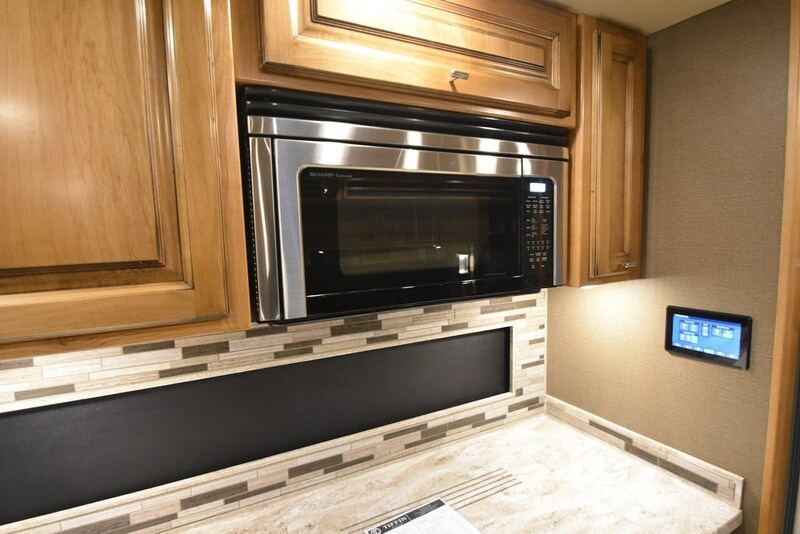 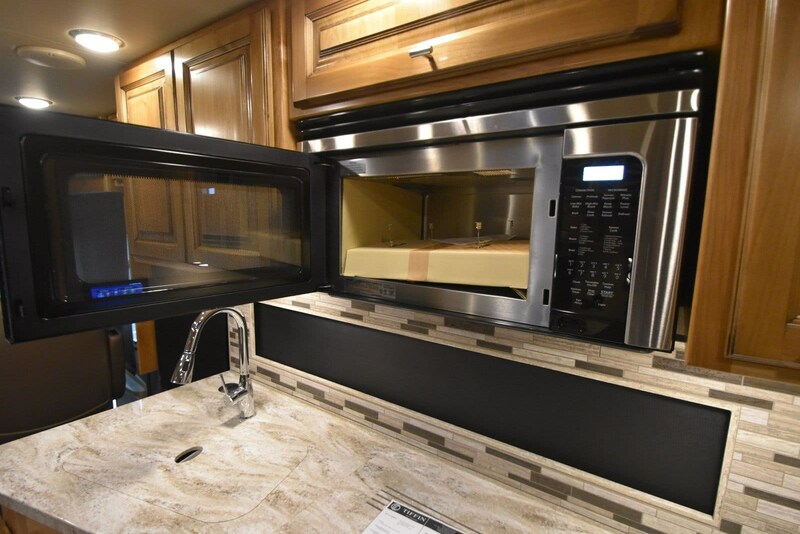 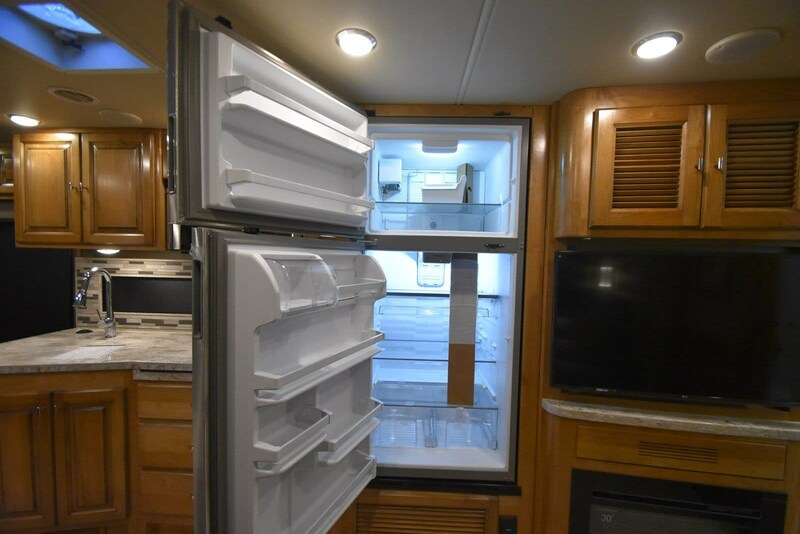 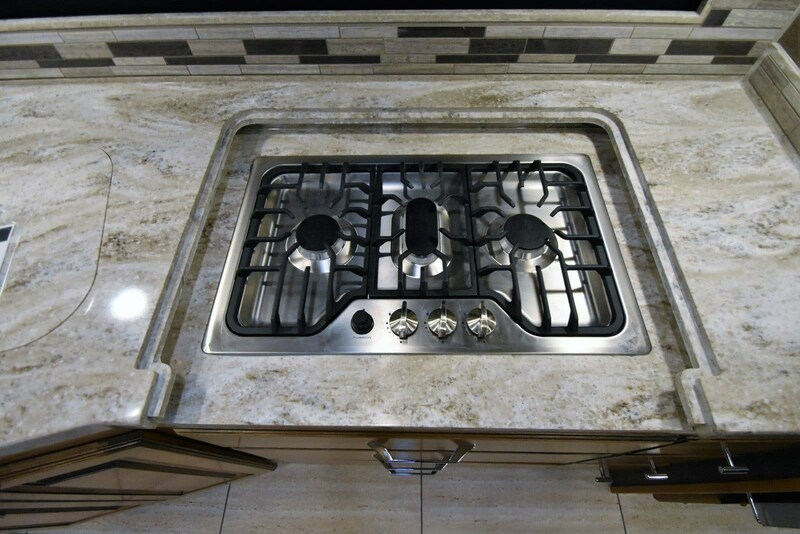 As you take a look to the other side of the coach you will find an open kitchen with a three burner range, double sink, overhead microwave oven, residential refrigerator, and pantry. 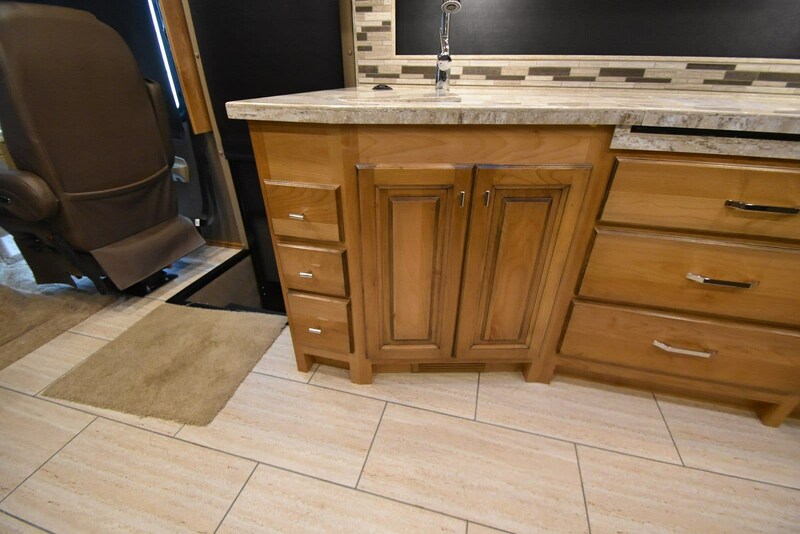 Behind the passenger seat you will find a flat panel TV and warm fire place for those cold nights.Continue toward the back you will find a bathroom that features dual entry doors. 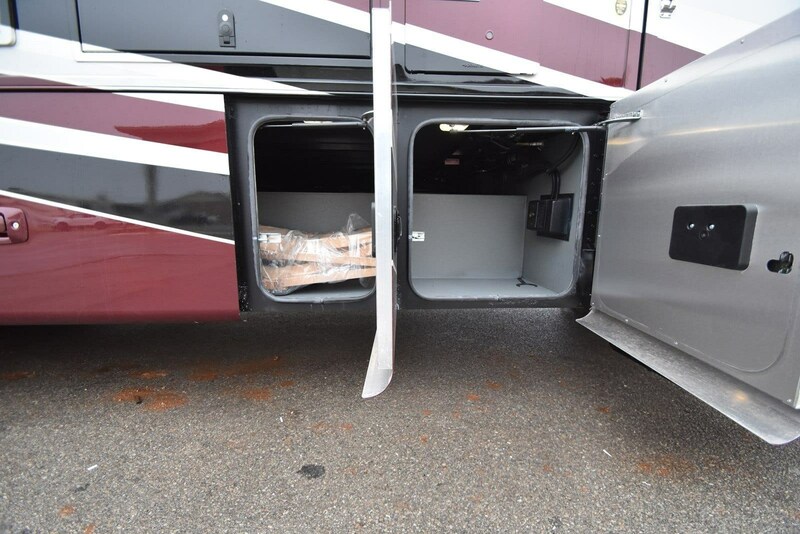 One door in the center of the coach, and one found within the bedroom suite. 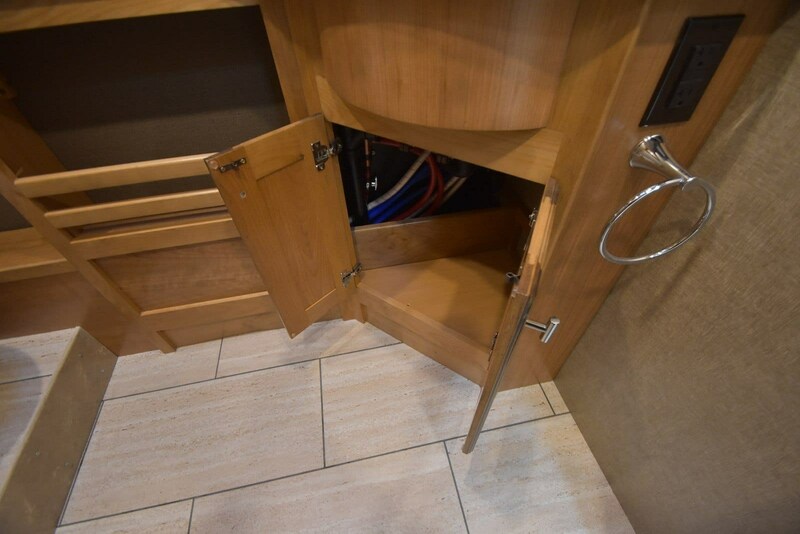 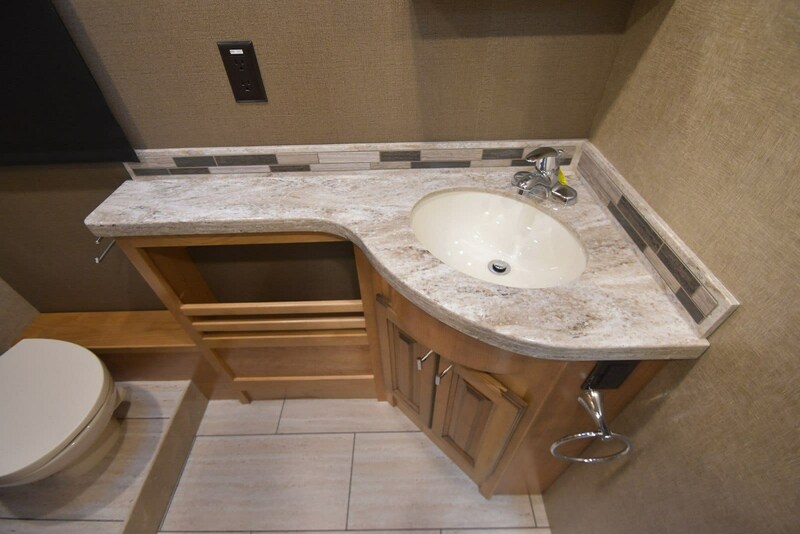 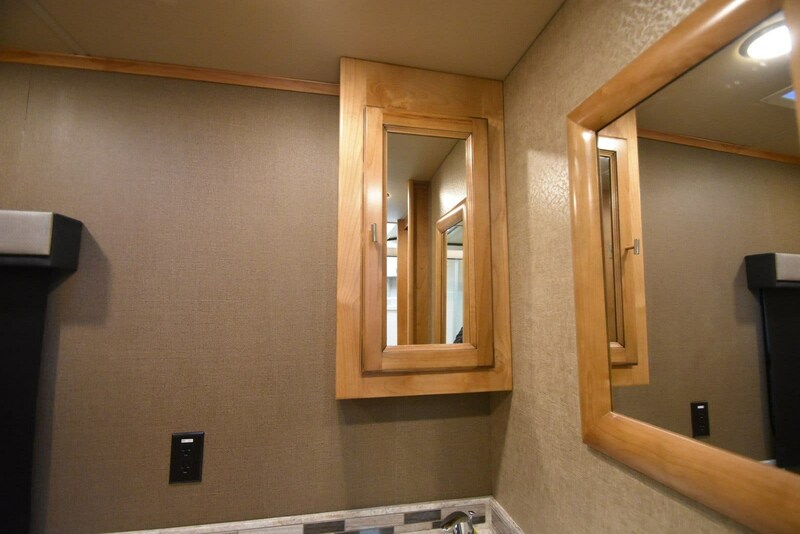 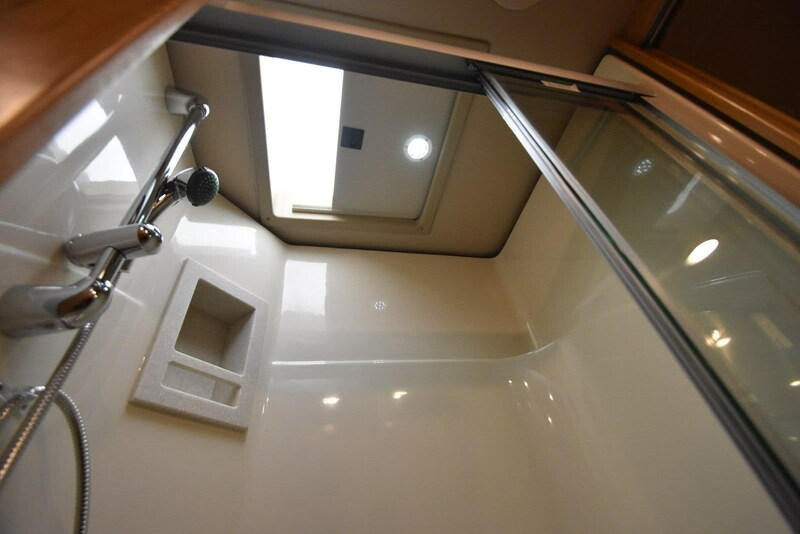 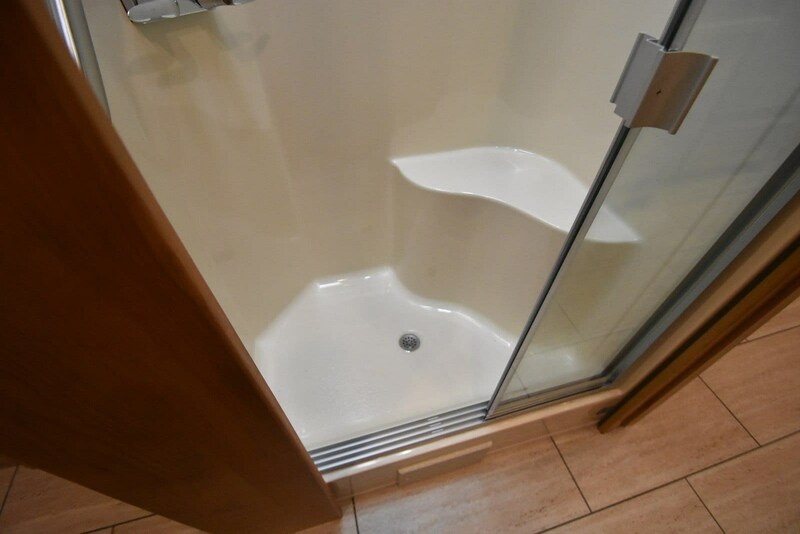 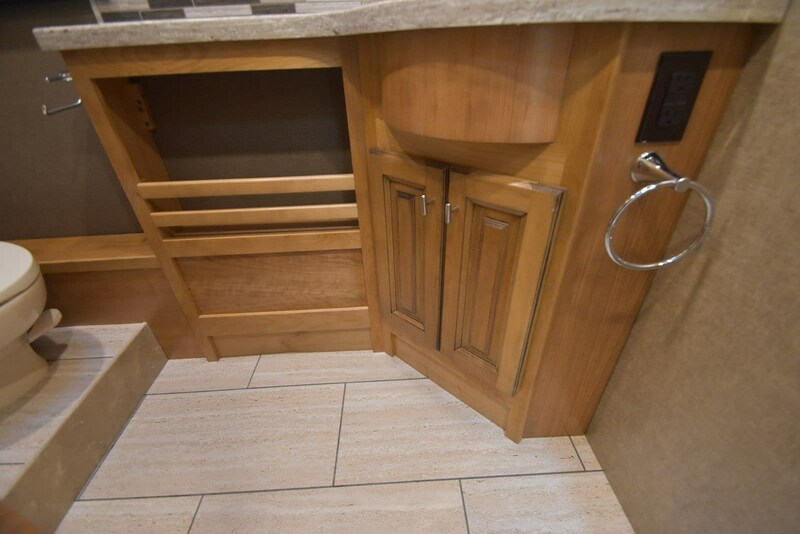 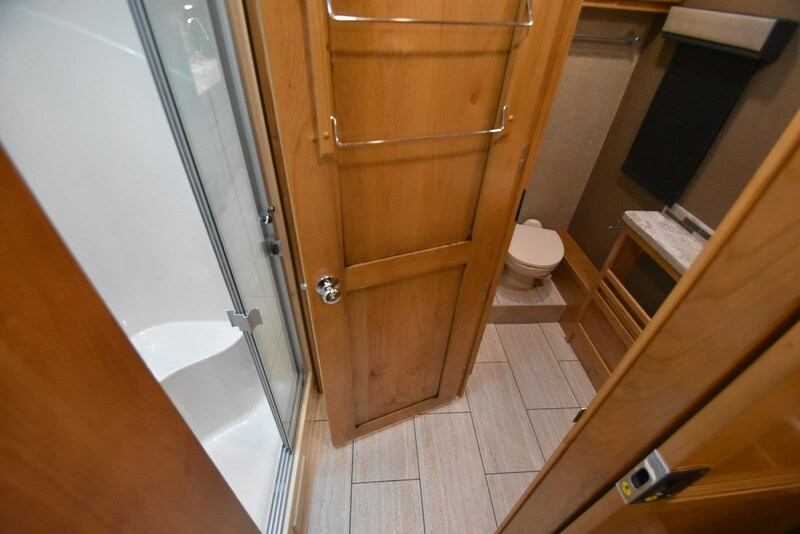 The bathroom contains,a toilet, and slide out vanity with sink, plus overhead storage. 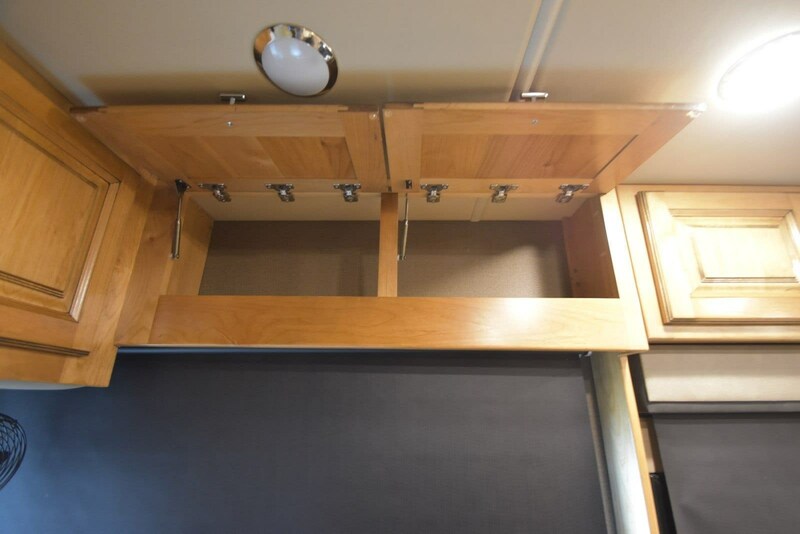 This continues into the bedroom area and features a bank of drawers with overhead cabinets, and a flat panel TV. 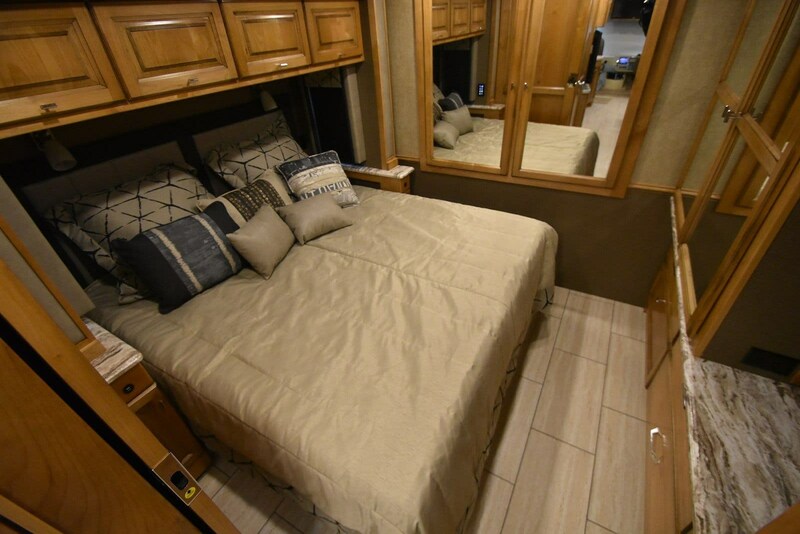 You will sleep comfortably on the slide out queen size bed including nightstands on the opposite side. 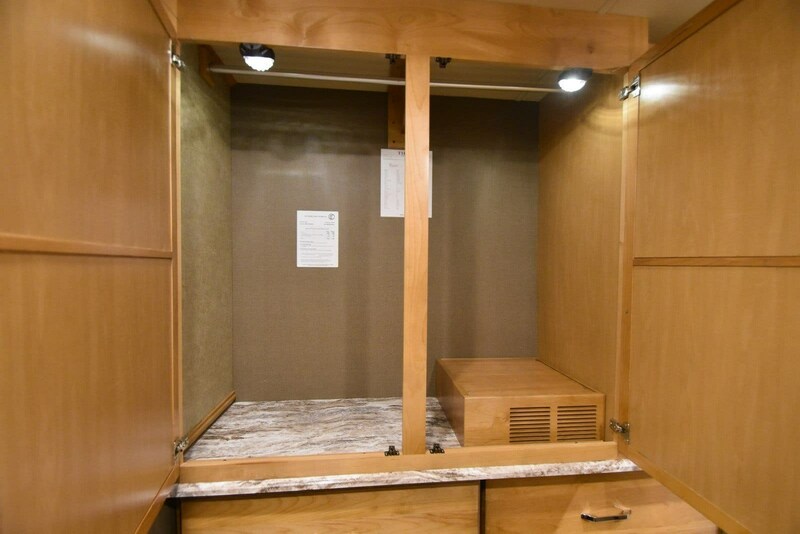 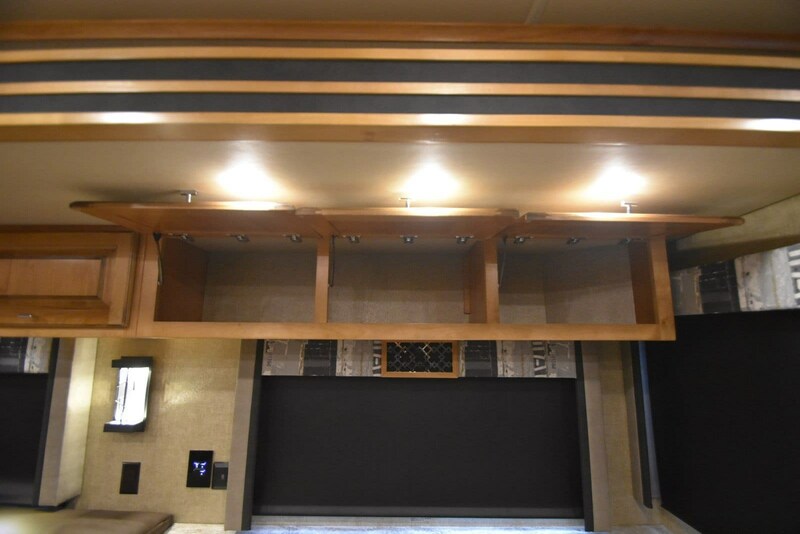 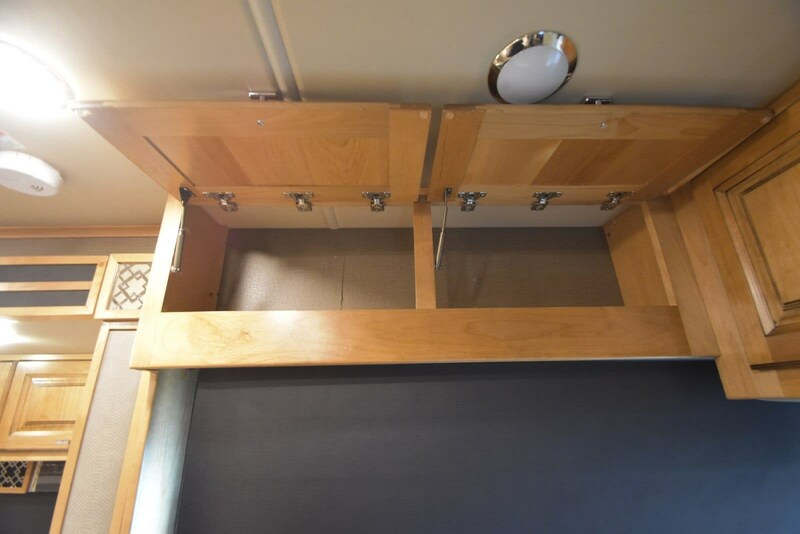 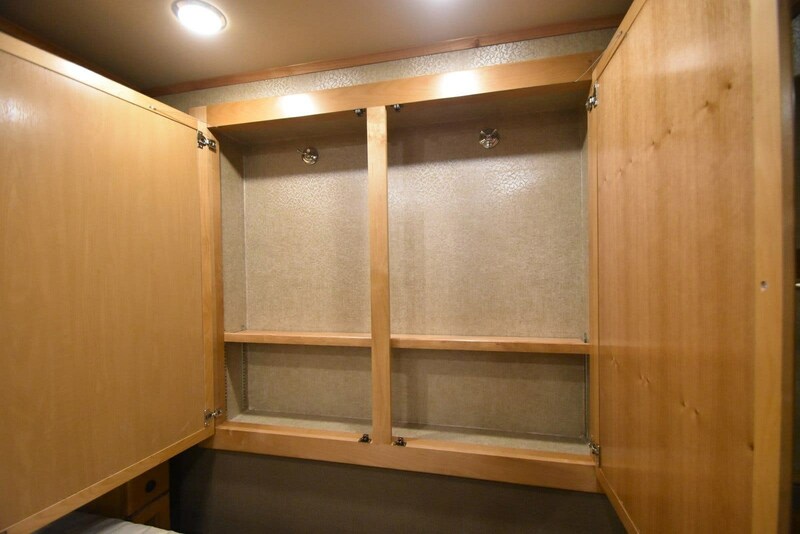 Along the rear wall find a closet for clothing storage, plus so much more!Call or stop by today to see it! 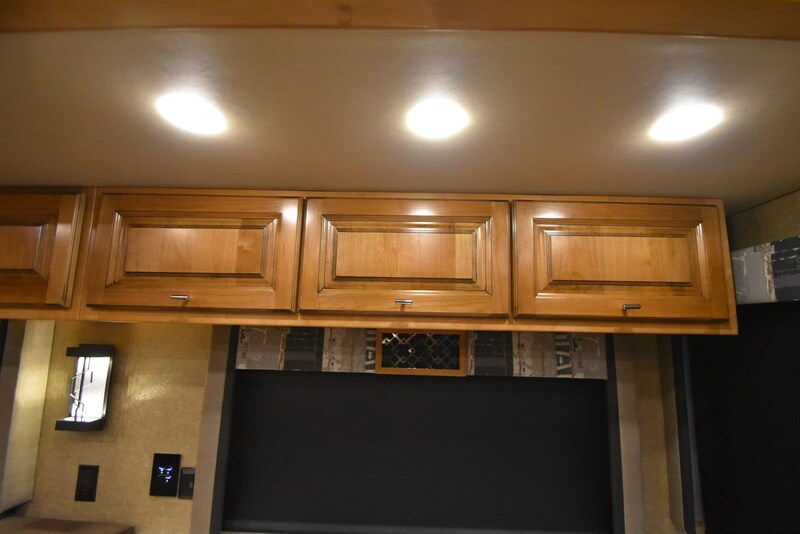 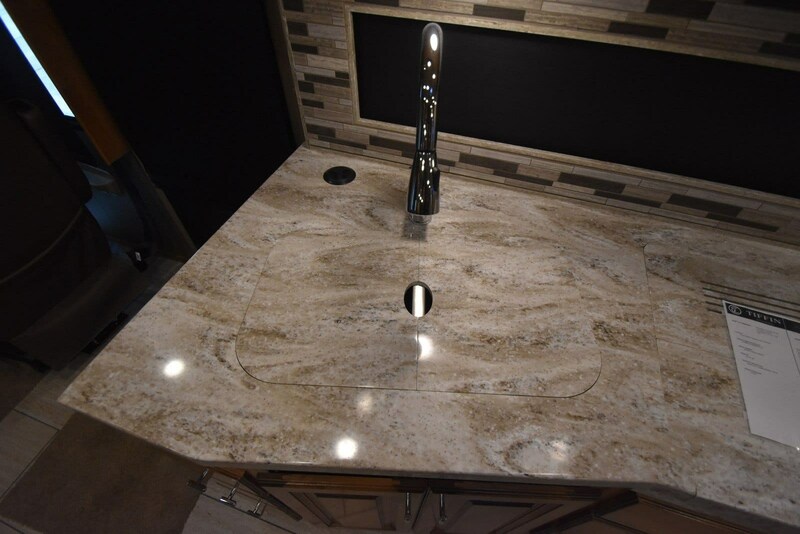 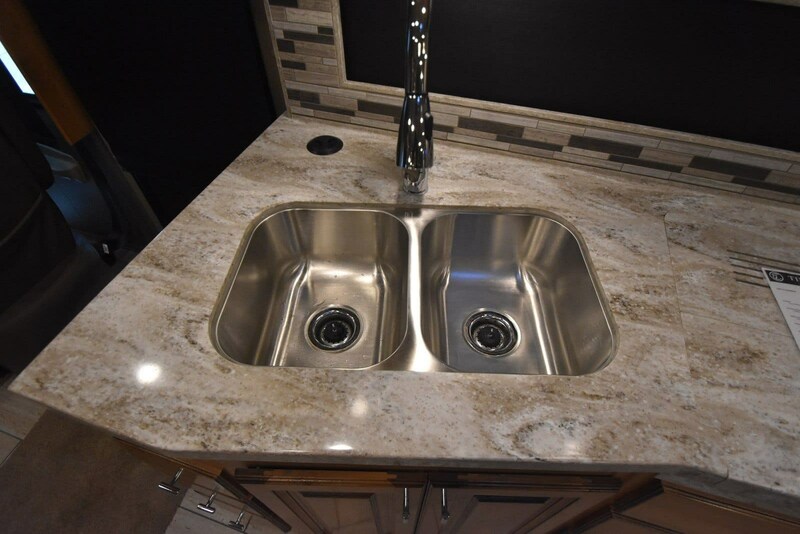 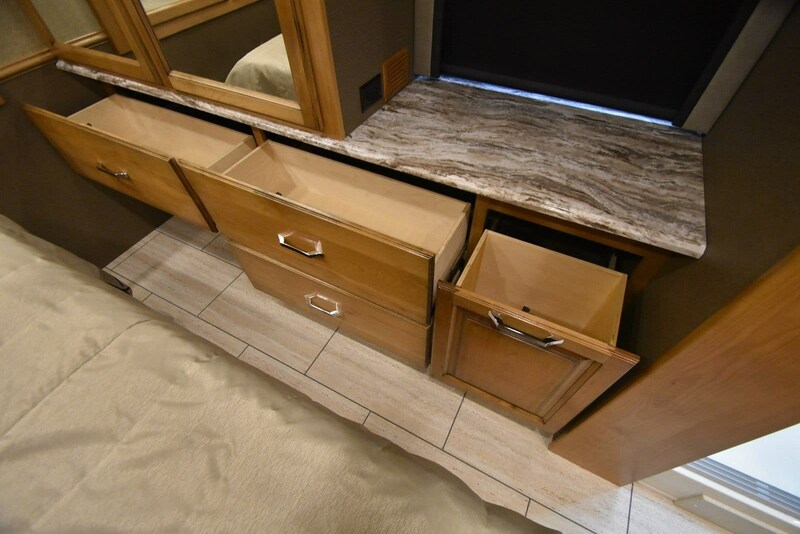 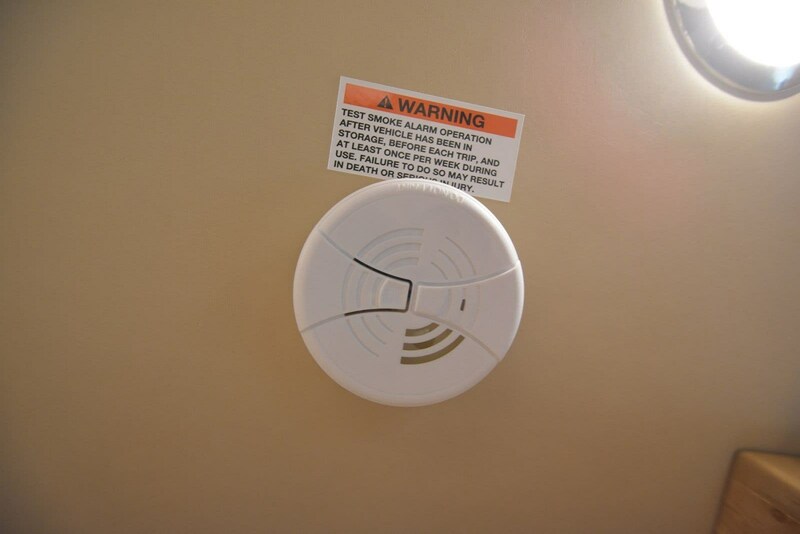 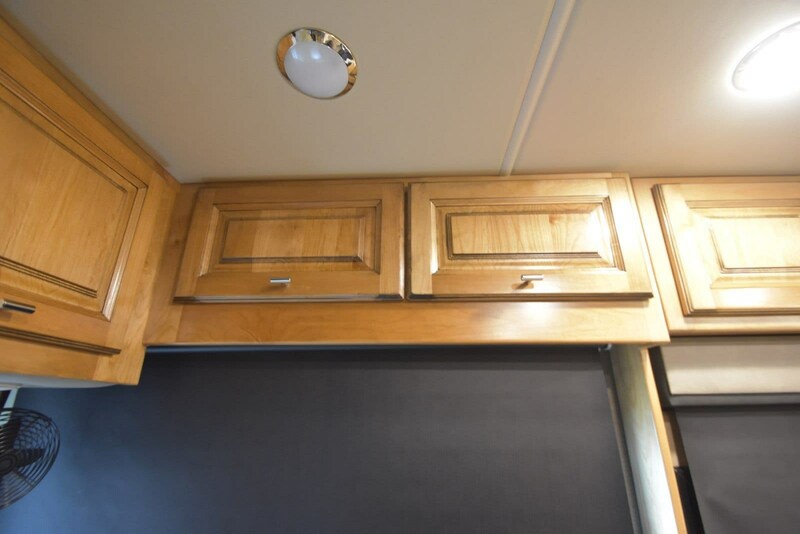 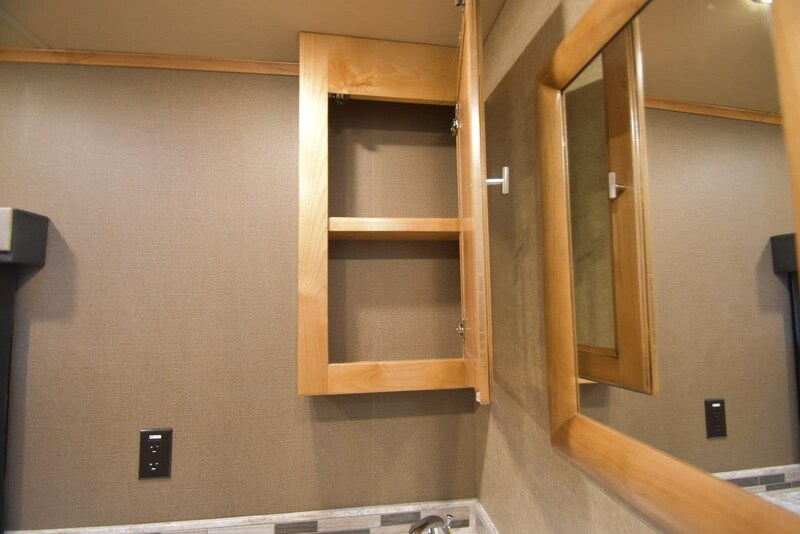 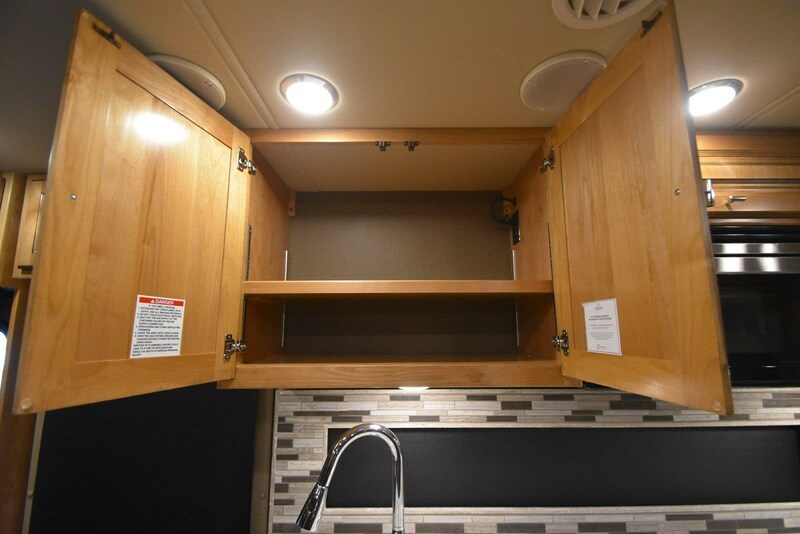 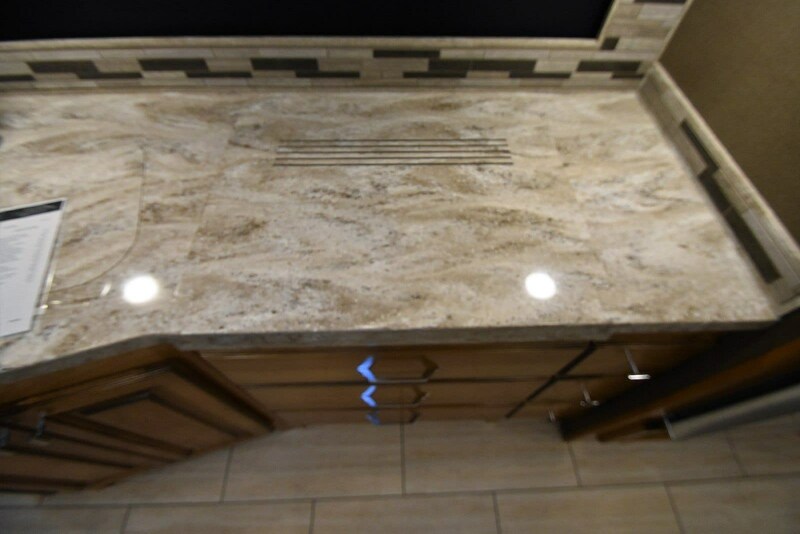 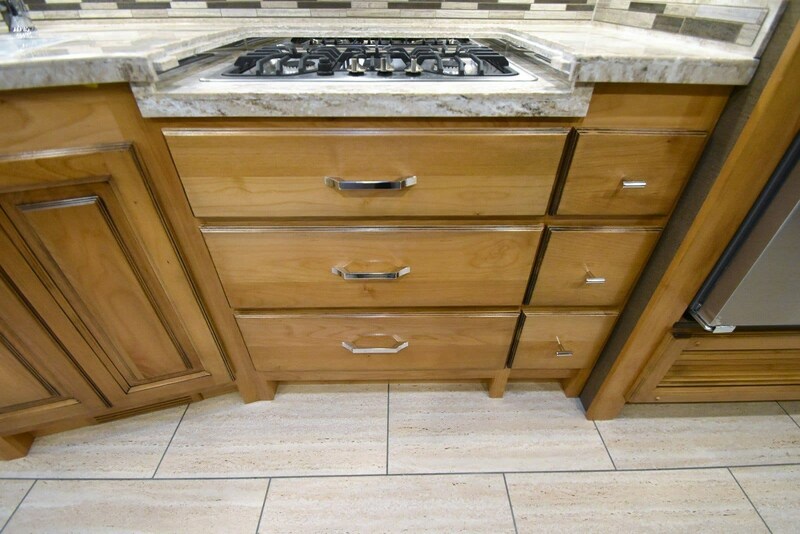 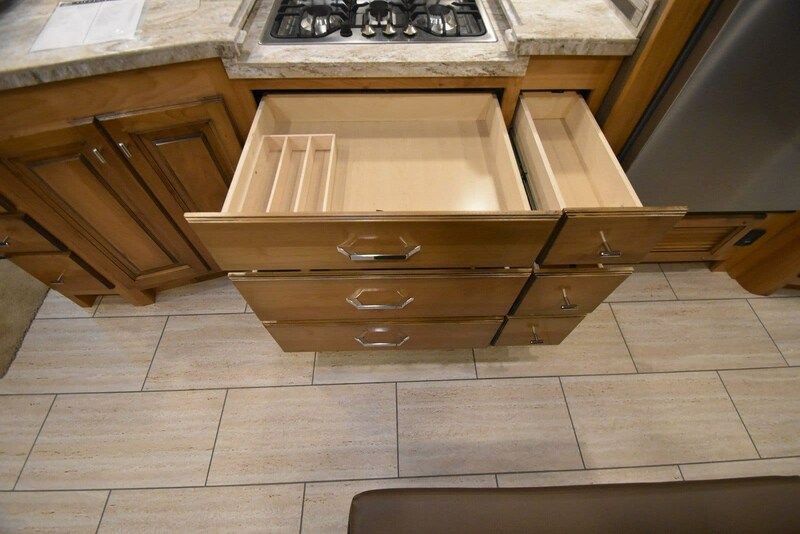 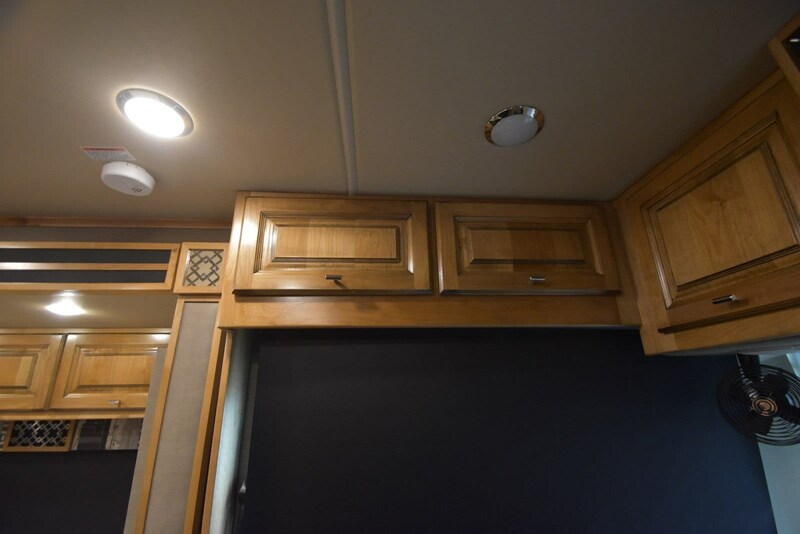 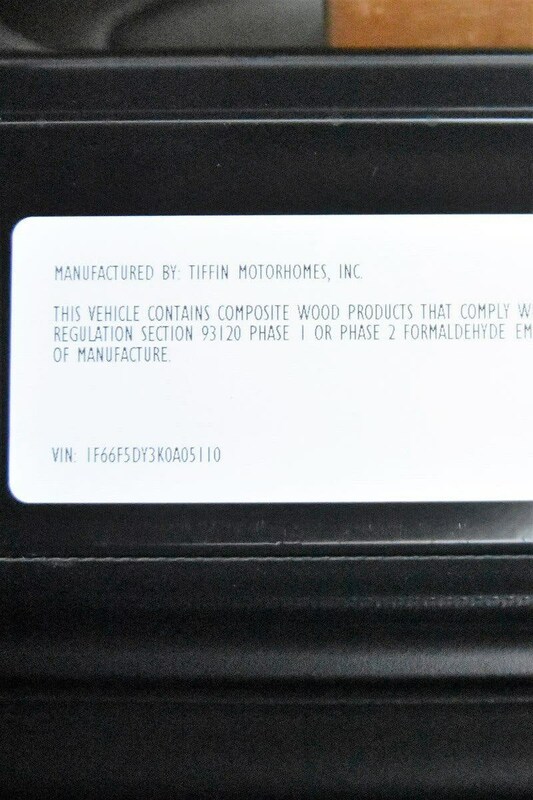 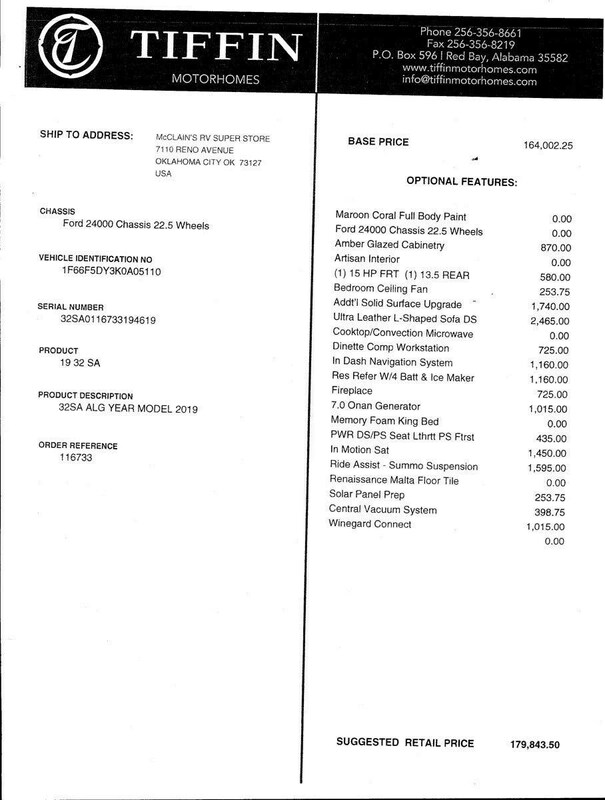 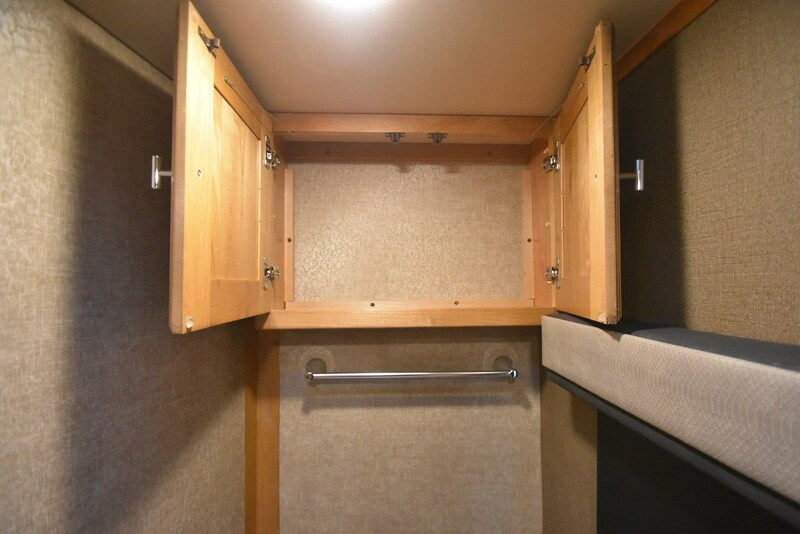 Check out Stock # 89932 - 2019 Tiffin Allegro on tiffinrvs.com!